Every morning this week, I have woken to the sound of rain pattering on the roof. Although that seems quaint, I’ve had enough of these dreary days! It’s makes me want to just have a cup of tea, curl up under a comfy quilt and begin winter hibernation. 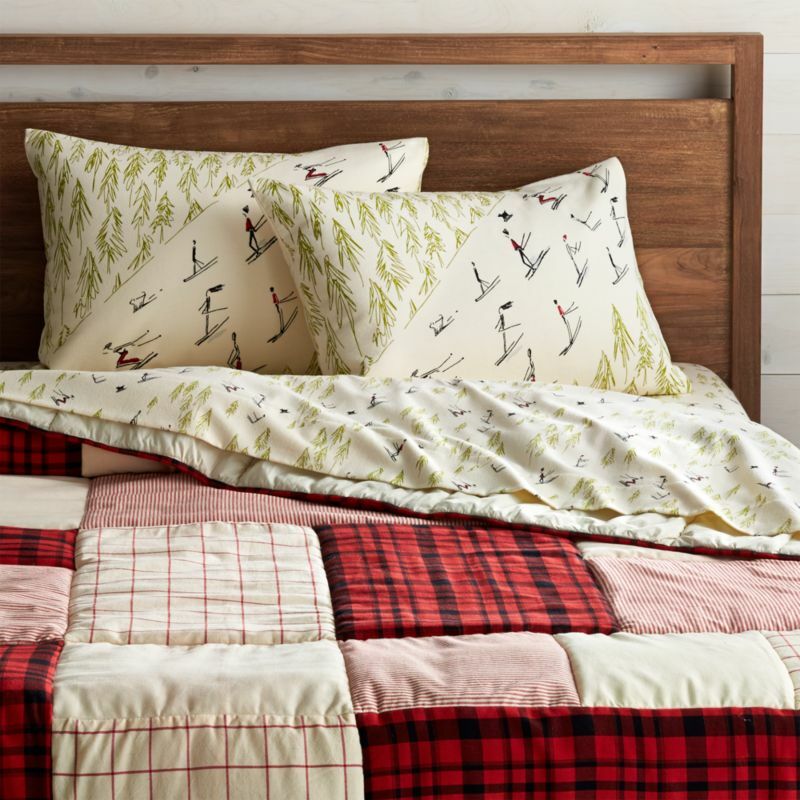 Having comfy quilts around the house can help getting through these winter months be just a little more bearable. Its a small consolation prize, but I’ll take it. This Diamond Stitch Quilt from Urban Outfitters is a perfect neutral. It has some subtle texture that could work in just about any room. 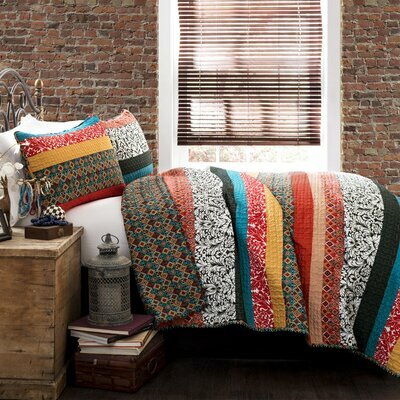 This colorful number from Lush Decor is available at Wayfair and it’s a steal. Seriously thinking of getting it for the guest room. This pairing from Crate and Barrel is a bit goofy but I like it. Especially if its just a temporary set up or used at a holiday cabin. This is a fun number and would work well for someone younger or in college. It looks a little cheap in the picture but Target bedding is surprisingly good quality for the price point. You just have to sift through some of the bad apples. For another neutral, that is a bit more feminine, this set from West Elm is flirty but subtle. I can’t be the only one who just wants to crawl under a big comforter and quilt and take the month off , can I? This weekend we took a quick trip to State College, PA. We tend to wait until the last minute to book places whenever we travel so Airbnb is perfect for us. The apartment we booked was perfect. It had one bedroom, a family room and a bathroom. Being in such a small, cozy place reminded me how much I love the family being close together. Although its not something I would like to do regularly, it was so nice to have Nouri sleeping in her travel crib just a few feet from us. Our house is not huge as houses go but for the three of us, there is so much unnecessary space. At any given moment, we can all be on a different floor. This weekend I was reminded how much I love smaller spaces and how much I want our forever home to be a more efficient use of space. As an added benefit, I will be able to eavesdrop on all my kids’ conversations! 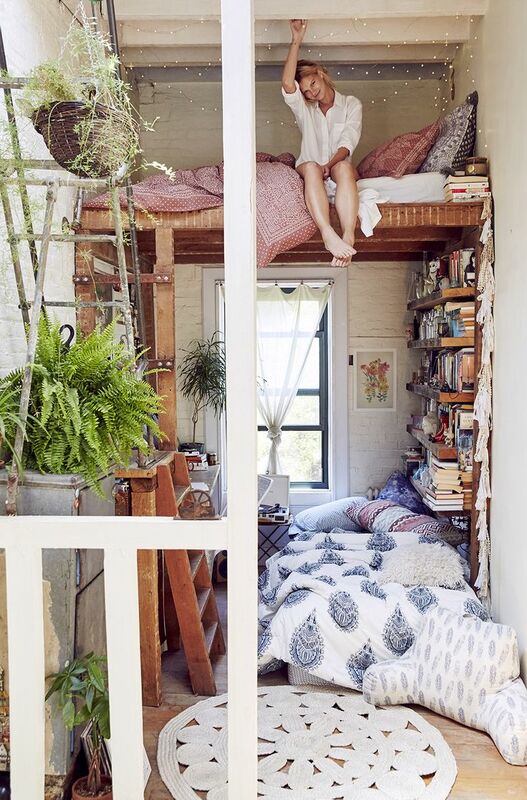 I have been looking at some dreamy small spaces to tide me over until our next move. I love how high ceilings and tons of windows can open up small floor plans. Although finding a house has a lot of fun and exciting aspects, there are definitely less glamorous aspects as well. For instance- the home inspection. We didn’t know much about the inspection process, so we were pretty shocked at the length of the list of issues in the house. After talking to a few friends, I felt reassured that such lengthy lists were normal, especially when dealing with a house that was built in the 50s. After we absorbed the initial shock of the inspection list, we had a call with our real estate agent to go over our must haves and asks. We would submit a list of the things we wanted fixed or credited and they would get back to us with what they could or couldn’t do. Our agent advised us not to ask for too much. Since the DMV area is a sellers market, buyers can get very competitive, often offering tens of thousands above list price to make sure they get the house. Although there was another buyer in the picture, we didn’t feel threatened enough to be too conservative in our asks. From our perspective, we had shown good faith by offering full list price, now we wanted the seller to show some good faith back as well. We asked for all the major things on the list to be repaired: the HVAC issues, the plumbing issue, the electric issues and the chimney. The buyers came back and told us to shove it. Just kidding. They were willing to work with us but didn’t want to take on all of the work since they were both older and looking to unload the house quickly. They agreed that our agent could bring in someone to prepare an estimate for all the work that would need to be done. After we had that estimate, we went back to the buyers. They initially came back with a lower number but this time we held firm and were eventually able to get most of it. The inspection is a wonderful tool for a buyer. I had such peace of mind after getting it and since most of the things aren’t very major, we can work through them on our own timeline. Get an inspector that comes highly recommended and is experienced. The inspector is worth every cent you pay because most likely you will get far more than you paid him or her in your negotiations with the seller. Let me tell you about our dream house first. My dream home is a ranch. It has three bedrooms and a guest house in the back. It has an open floor plan with tons of windows everywhere. The kitchen, dining and family room all flow into each other. Let me tell you about the house we bought. It is three stories, five bedrooms, has an awkward kitchen, a small family room and NO dining room. So, why did we buy this house? It was because it had a lot of the key things we were looking for that I discussed in yesterday’s post. The location is good, the neighborhood seems amazing and it has generally good bones. Also, when we were searching for this house we weren’t looking for our forever home. We wanted a house that would let us enter the world of home ownership without too much stress. Something affordable and livable from the day we moved in. The house has a lot of cosmetic things I want to change but I can do them one project at a time as budget and schedule allow. Best of all, I can share that journey here. 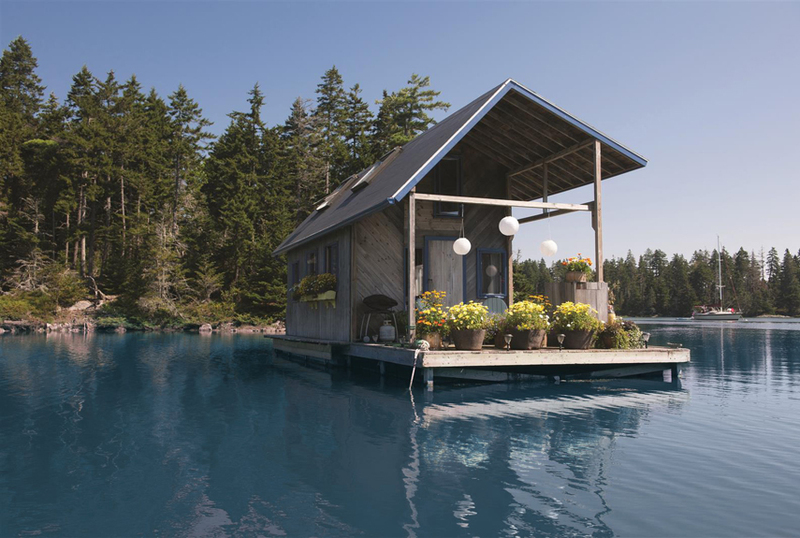 I want to see if it is possible to create the house of your dreams on a reasonable budget and without too much stress. Sounds impossible but I’m up for the task! So, lets take a look at the house! I have longed dreamed of having a home with a beautiful entryway. With black and white striped hooks to hang coats on. A built in shoe rack that hides shoes away. Maybe some eclectic artwork on the walls? Oh, that’s a kitchen you say? That’s ridiculous! Why would your house open into a kitchen? Maybe because your house was put on the lot backwards? Yes, friends. The back of the house is the front of the house in our place. So, although we do have a door that opens into the family room, the main entry for the house opens into the kitchen. Otherwise the kitchen is ok. It has nice, new appliances and cabinets and has very recently been redone. Unfortunately it was not remodeled at all how I would have done it. In my own remodel, the cabinets would be white, smooth and have modern fixtures. The backsplash would be a bright color(s) and not that terrible pattern. The counters would be a white marble or wood. And for the love of God, the faucet would be able to detach to wash huge dishes. I know people are loving on the sterling silver appliances but I just don’t like them. I would have liked to have brought in a vintage dishwasher and stovetop but I can’t justify doing a kitchen remodel right on top of a kitchen remodel so we are going to live with this unless we decide to live in the house for more than ten years. The family room is on the other side of the kitchen. I know some people love fireplaces but we don’t really care for them. I love how cozy fires are but they are not really worth the trade off of potentially draining heat from your house, the huge mess they can cause and the great expense of keeping your chimney swept and in good order. See all the locks on the ‘front’ door? I’ll tell you a good story about that one day. See the door peeking out behind the curtains? That would me the more natural entry point but there is no clear path to that door from the outside. That might be something we add once we tackle the outside landscaping but for now, that door is just going to stay bolted and unused. This house has rooms for days. Since five bedrooms are more than we practically need and I really love having a dining room, one of the rooms will be ‘converted’ into a dining room. Meaning I will put a dining table in it. Have you been noticing the terrible wall color? This was another thing that was freshly done and I felt bad spending a bunch of money on it when it didn’t necessarily have to change. My mom said to wait a few years and let the kids mess up the walls and then go ahead and get something freshly done. That way I would value it more and I wouldn’t have to worry too much about the walls while the kid(s) are young. At the moment, I would love to take gallons and gallons of paint and just do the whole place in a nice dove grey but I think waiting will also help me get a better feel for what colors will go well with the light in each of the rooms. The house also has a half finished basement, two full bathrooms and a lot of outdoor space- all of which I don’t have pictures handy. But as I work my way through each of the rooms in the house, you’ll get to peek into those rooms as well. This house is far from the dream house I want to live in but I’m still glad we bought it. It doesn’t give us any major headaches, it is in a great neighborhood with awesome schools and neighbors and it has good appreciation potential. I’m looking forwarding to brining it to life!